This has been the decision I have had to make lately. I have chosen stitching since there seems to be so much of it I need to get completed. This is block four of the Benjamin Biggs quilt. I added a little pink to see if I could brighten things up a bit. I like all those green grapes and the little flower pot. 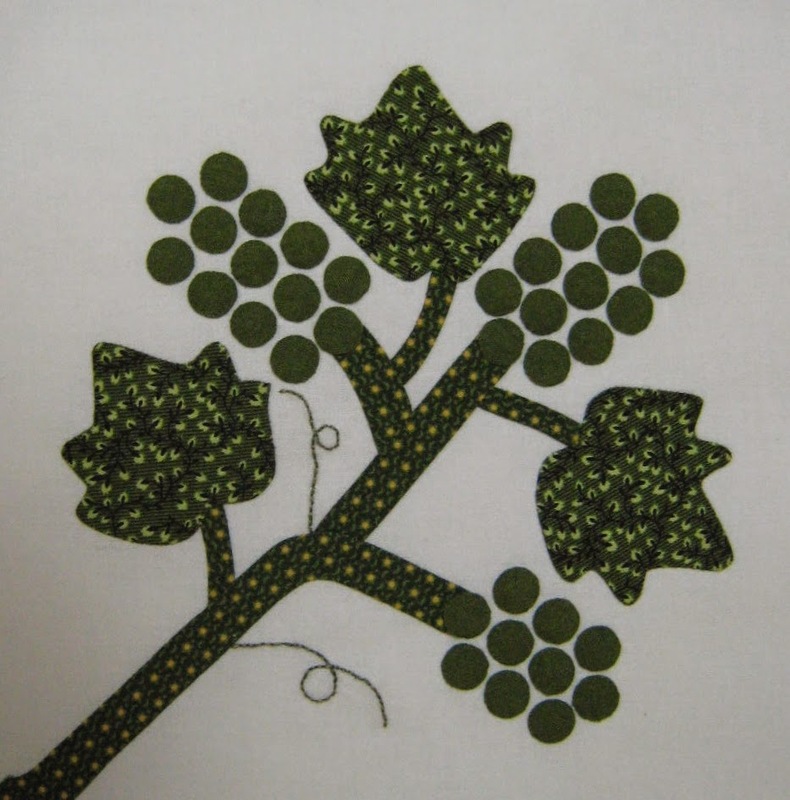 I want to make some of the quilts from Di Ford’s new book Primarily Quilts. So I ordered some lovely Chintz fabric from Betina in the Netherlands. They ship quickly and are so nice to deal with. I have also been stitching on my Auntie Green and Chester Criswell but no new pictures of these. Hope everyone has a lovely weekend. I love the fabric you got from the Netherlands, I will have to check that out. I also would like to do some of Di Fords quilts. Your appliqué blocks are all beautiful. Love the grapevine, no wonder you needed the time off from blogging to complete all of those small circles. Dyeing to know what quilt you're going to make with those chintz fabrics. Your Noah and Matilda blocks are so pretty! I know you will have a beautiful quilt made from the new chintz fabrics! Have been following everyone's Benjamin Biggs blocks as I do each of mine - love how yours is progressing.! As for Di's book - it never leaves my sight. Working on one and gathering for a second quilt from there...plus her Mystery quilt. Blogging has taken a back seat and yet there is so much creativity out there a person hates to miss anything! Next eeek - block # 5!! I would not have thought to use green for the grapes but it certainly was a good choice. I always see purple grapes for quilt blocks. Love to see your progress! Your applique is fantastic as usual. 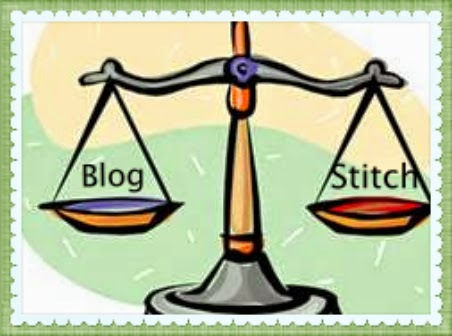 :) I understand about the blogging/sewing dilemma. Sometimes you just have to choose. 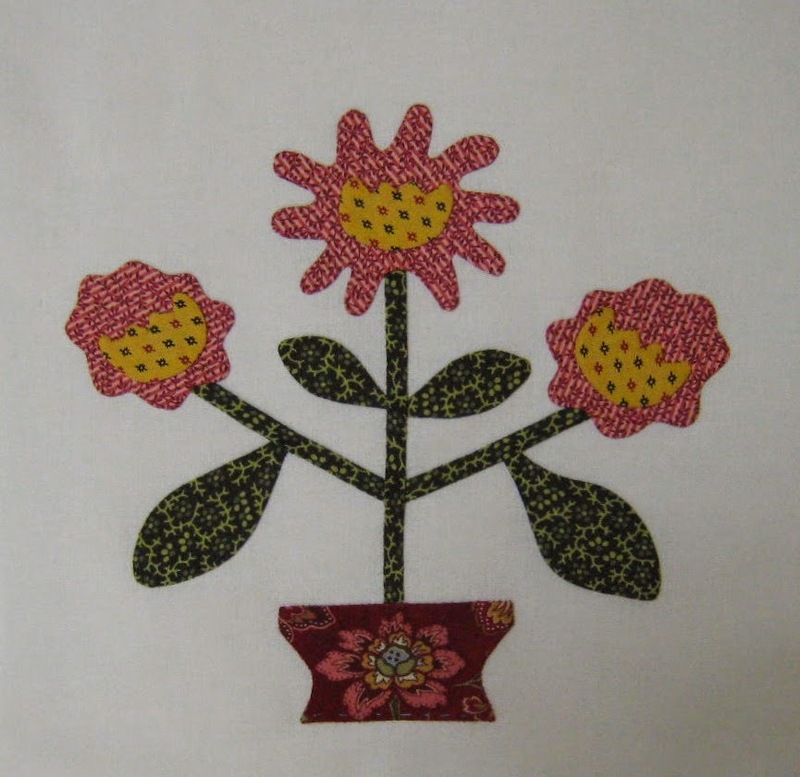 Beautiful applique! Your blocks are all just wonderful!! Nancy - Miss you posting but LOVE seeing the work you are getting completed!! 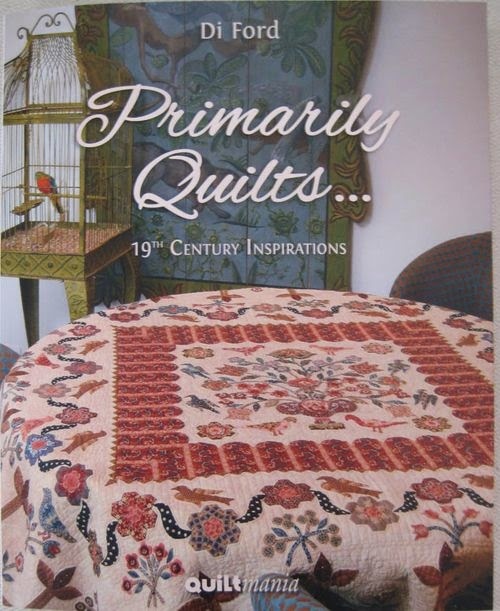 Can't wait to see what you will be doing from the Primarily Quilts book!! Those Chintz fabrics are gorgeous!! I as so excited to read your post today. Matilda would have loved your blocks! But mostly because I was glad to find your source for the Dutch chintz. Your choices are beautiful And I love Di's designs too. I've been trying to decide on a border for an appliqué I'm working on and I'm starting to think maybe a border of chintz might be the solution. So thanks for your post, it gave me an idea. yes its thats balance , set the kitchen timer for a specific time and when it goes off get off the computer! so far its working well for me this time around! Love seeing your blocks, oh the appliqué is just so beautiful.